We want to be your mechanic! 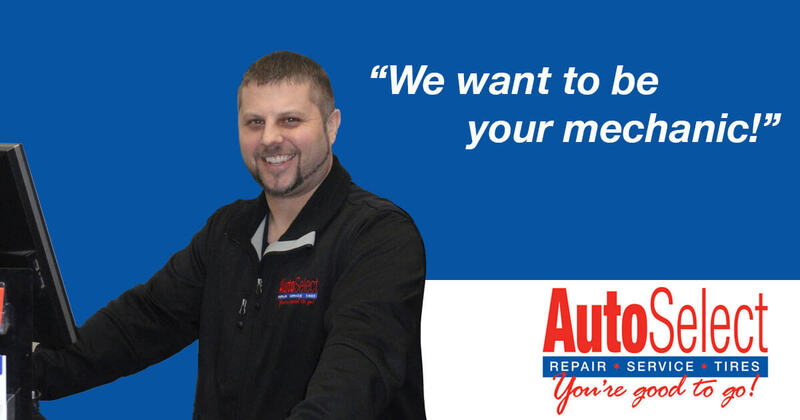 Whether you live in or are passing through Green Bay, Appleton, Stevens Point and Weston/Wausau, Auto Select is the place to go for quality, dependable automotive repair, service and tires. We want you to consider us the auto repair and tire experts in your area, and we strive to exceed your expectations every time you call or visit one of our 11 auto shops. Give us a try. You really must experience the difference to believe it! Click Here to learn more or to schedule an appointment.